Regulation no. 2016/679, known as the General Data Protection Regulation (GDPR), is the new European reference text on the protection of personal data. It strengthens and unifies data protection for individuals in the European Union. It is scheduled to come into effect on May 25, 2018. The General Data Protection Regulation (GDPR) purpose is to restore control of the personal data of each individual, while improving protection of personal data by applying a set of standardized rules. 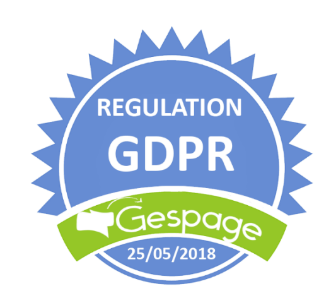 Gespage Print Management Software can help you to comply with the requirements of the General Data Protection Regulation (GDPR). By securing the network and print servers. By securing the print release by the user on all machines (by card or keyboard login). By setting access rules to secure printed documents. By respecting the right of users to access their personal data.